Changes to weather affect conditions in the backcountry. Check the latest weather report www.metservice.com Changes to weather affect conditions in the backcountry. 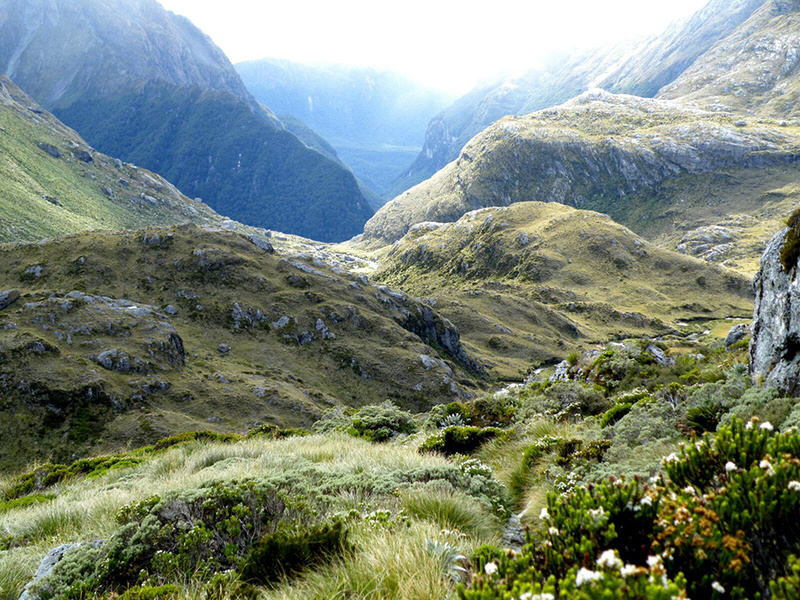 Routeburn Track is open from Lake Howden to the Divide as of 13th April. 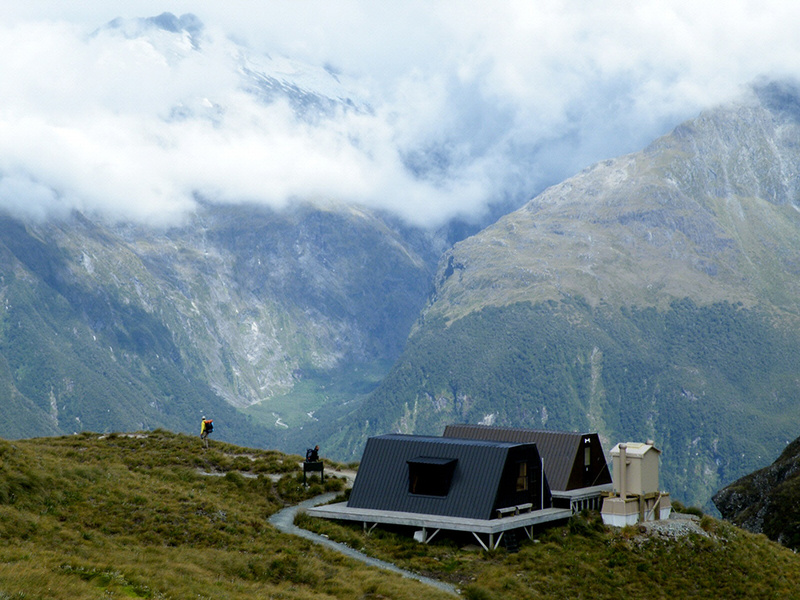 Conical Hill open. Please obey the no stopping zones. Good Time Events wishes to notify the public of the Routeburn Classic Adventure Run will be held on Saturday 27th April, 2019. Rockburn Hut has been removed due to severe storm damage and will not be replaced. 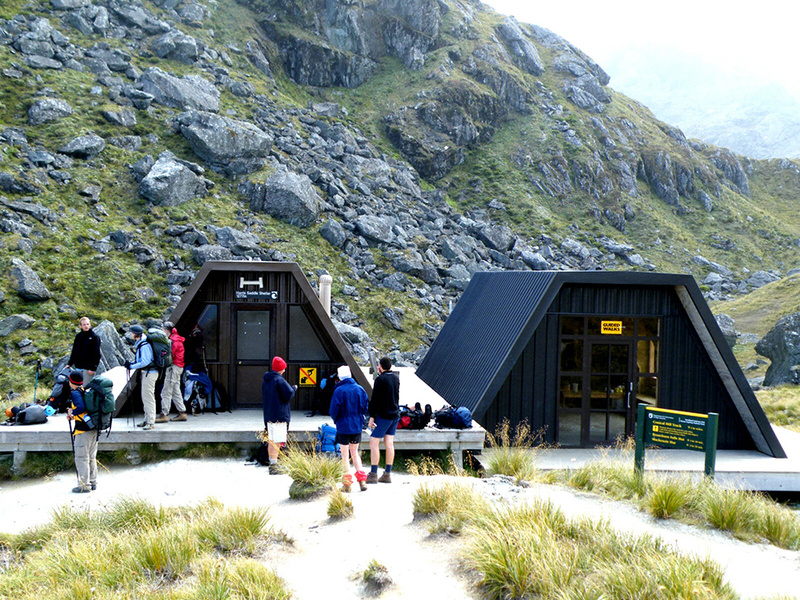 There is a camp shelter and toilet nearby, owned by Dart River Jet Safaris, that is available for public use. For Mr Aspiring National Park and Otago Lakes District check the website http://www.checkitsalright.nz/ for status information. 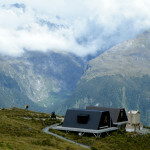 REMEMBER to contact the Queenstown DOC visitor centre for the latest updates. Changes to weather will affect conditions in the backcountry. Always check the latest weather report before you venture out! 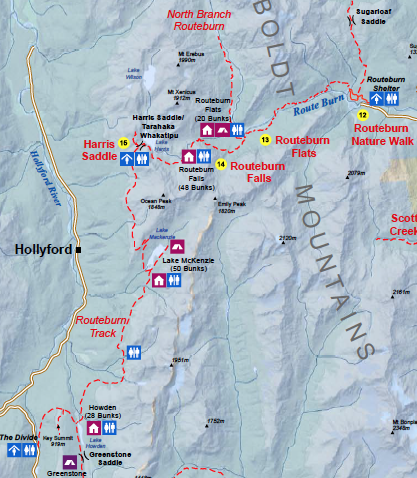 Need help finding a place on the Routeburn Track? Use NZtracker that will send you automatic alerts when cancellations occur so that you can immediately book. 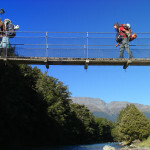 Experiencing the Routeburn Track and other great walks in the Mt Aspiring National Park could not be easier. Simply book your place on our bus, tell us where you want to go, hand us your pack, sit back and enjoy the ride. 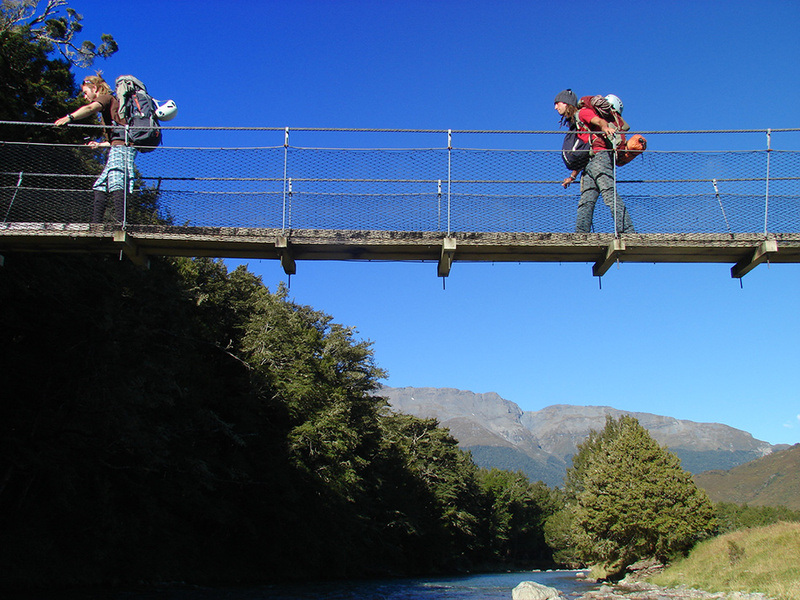 The Routeburn Track was named one to the top eleven trails in the world by National Geographic Adventure magazine and is rated as one of New Zealand’s best Great Walks. This incredibly special place overlaps two National Parks; the Mount Aspiring National Park and Fiordland National Park, and forms park of the Te Wai Pounamu World Heritage area (‘Place of Greenstone’). 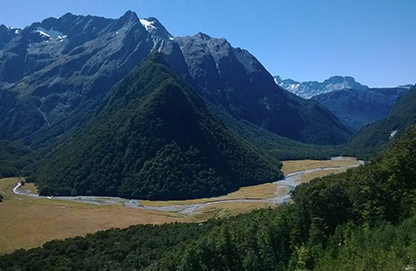 Whilst the Routeburn Track may be a shorter multi-day hike at 32km, it has some of the biggest scenery. With snow-capped mountains, beautiful valleys, waterfalls, alpine lakes and enchanted forest heavy with iridescent green moss, the views are simply stunning. 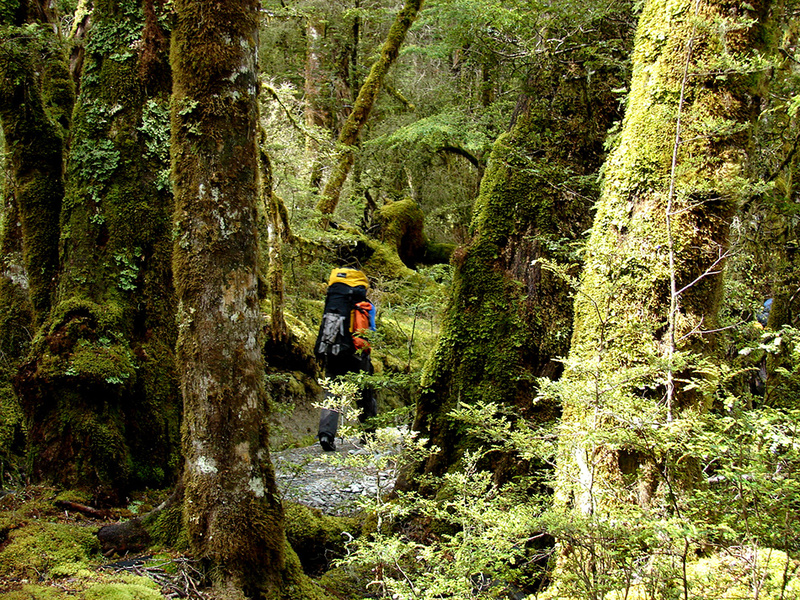 The Routeburn Track is a 3 day (two night) walk with four comfortable well-equipped huts (Routeburn Flats Hut, Routeburn Falls Hut, Lake Mackenzie Hut and Lake Howden Hut) and two campsites (Routeburn Flats and Lake Mackenzie). Happy New Year 2018 Instagram captions season (November to April) you need to book huts and/or campsites on the track. You can buy hut tickets and make reservations at DOC visitor centres nationwide, or through their online booking service. From May to October you don’t need to book, but you must buy backcountry hut and campsite tickets before your walk, which can be purchased from any DOC visitor centre. During the winter season there are reduced hut facilities and additional safety hazards to consider. 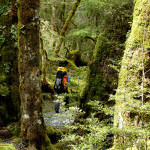 The Routeburn Track is not a loop track and can be walked in either direction, but is usually completed by starting on the Queenstown side of the Southern Alps, at the northern end of Lake Wakatipu, and finishing on the Te Anau side, at the Divide, several kilometres from the Homer Tunnel to Milford Sound. Whichever way you want to walk the track it is easy to arrange transport for each track end, including a full loop transport package departing Queenstown to either end of the Routeburn Track. 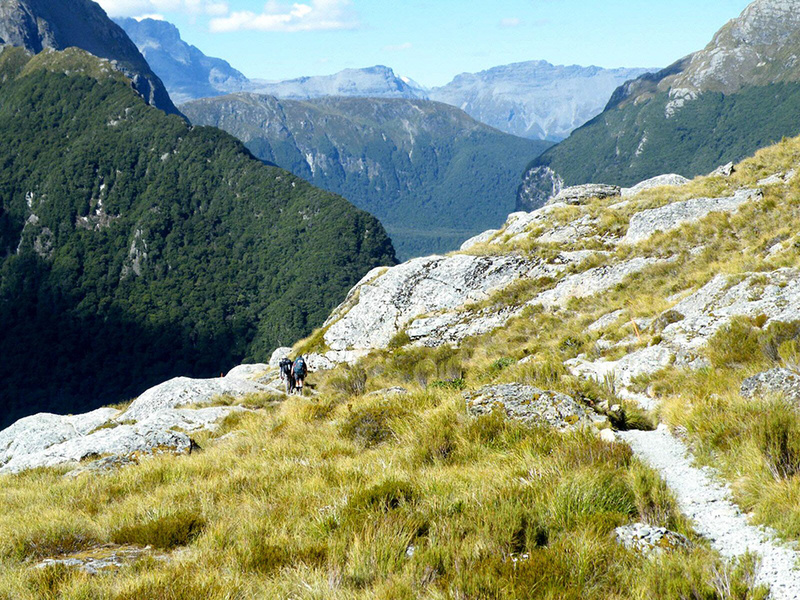 For a slightly longer and equally rewarding option combining the Routeburn Track with the Greenstone or Caples Tracks to form a very popular circular loop. Track end to track end transport is available, as well as a return to Queenstown. 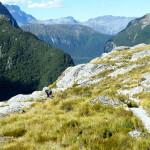 The Routeburn Track is excellent for day trips from Queenstown, with both independent and guided walk options available. 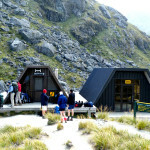 For an unguided day walk simply get our bus from Queenstown to Routeburn Shelter and return to Queenstown the same day. 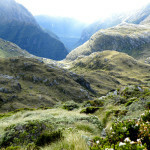 Includes transport to and from the Routeburn Track, walking in either direction. Various departure times available. Enjoy one of New Zealand’s best day walks with an expert guide amid some of the world’s most stunning scenery. Walks can be specially tailored to your requirements and ability, exclusive half and full day hikes in small groups.